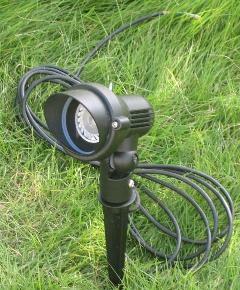 Solar Light Kits ready the range of various parts for you to design your own Solar Garden Lamp. 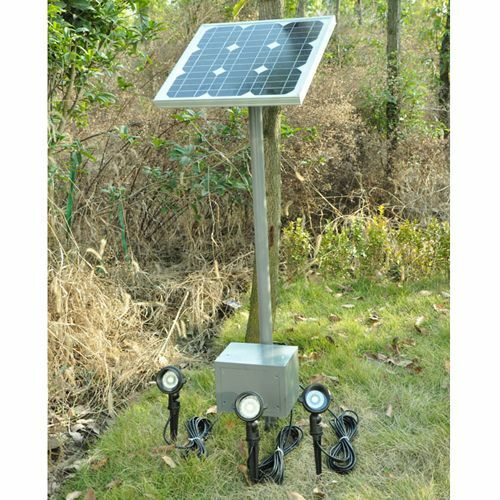 Solar Light Kit consist of Solar Panel, Battery, solar Controller, Led Lamps connected to a 5 meters weatherproof cable and. All the mechanical and electrical connections are provided. The electrical cables are of High quality, anti-aging, waterproof and anti-uv. 12 Volts, mono-crystalline solar cell with 17% efficiency that can be mounted to the pole. The life span of the solar panels can reach 25 years. All come with 5 years Warrant. Overcharge and overdischarge fuction to prolong battery life span. Lead-acid battery, maintainance-free. Life span can reach 5 years. Come with 1 year Warranty. The life span of the battery will be shorted if it does not keep at the designed charge level for considerable period. * 1pcs LEDs inside Lamp Body. * Make of Die-cast Aluminum. * A 5M anti-aging,UV-proof cable for outdoor. * Directly connected to controller. 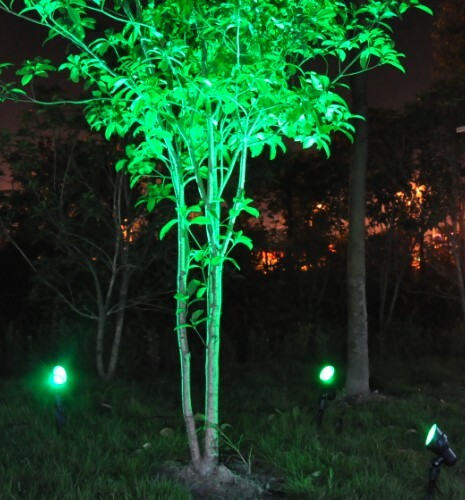 * Light beam Color: Warm White/ Green/ White. * Life span 20 000 to 50 000 hours with 3 years warranty. 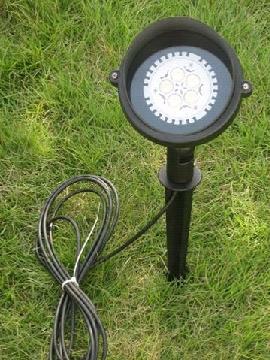 4W Out-door LED spot lamp. * 3pcs LEDs inside Lamp Body. * Direct connected to controller. * Life span 20 000hours with 3 years warranty. * 5W LEDs spot bulb inside Lamp Body. * Light beam Color: Warm White. * Life span 20 000 hours with 3 years warranty. The effect that these lights do are show at the picture below. The beam of the lamp is GREEN color. The color of the beam is Warm white. 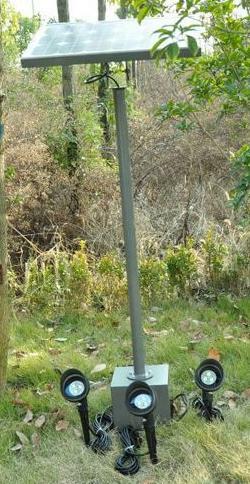 solar panel of 12 V 15 watts. Battery of 12 v 14 A/H. 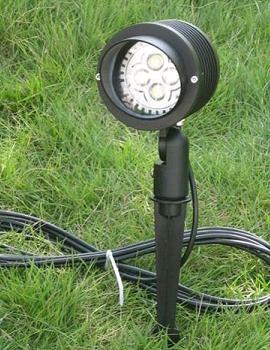 1 Led spot Light lamp of 2 watts LED Lamp. With the controller and the pole. solar panel of 12 V 35 watts. Battery of 12 v 38 A/H. 3 Led spot Light Lamps of 2 watts LED. With the controlller and the pole. Solar panel of 12 V 60 watts. Battery of 12 v 65 A/H. 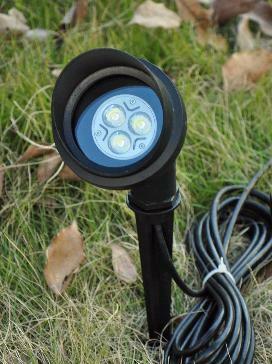 3 Led Spot Light Lamps of 3 watts LED.